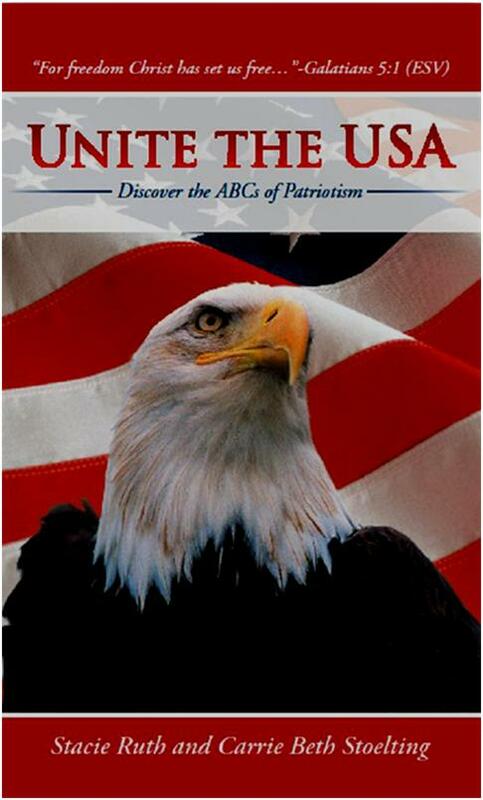 Carrie and Stacie Stoelting have written a new book called Unite the USA: Discover the ABCs of Patriotism. As life-long Iowans and two sisters only in their 20s, they wrote Unite the USA to honor veterans and current servicemen and women. Unite the USA explains how you can actively make a difference to help our country get back on track. With over one hundred ways to take action now, Unite the USA explains how to honor our military and veterans, and how to stand up for freedom and faith in Jesus Christ. Candid yet hopeful, Unite the USA motivates, educates, and stimulates patriots to make a positive difference in America. The Declaration of Independence, the U.S. Constitution, and the Bill of Rights are included in their entirety. The Stoelting sisters have been featured by major media and they have sung for national leaders. Unite the USA is available at local bookstores, Amazon.com, Barnes and Noble, CBN Shop, Books-A-Million, etc. Learn more at www.UnitetheUSA.org.